Running is awesome. This whole blog is devoted to sharing with you, my dear readers, all the strategies and running advice I can think of. However, when it comes to finding time to run, we all run short, no pun intended. 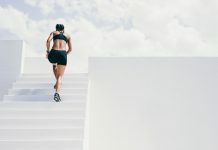 Squeezing in miles first thing in the morning, during lunch break, and gathering up the energy and courage to run later in the evening or at night is a no easy feat. Consequently, we runners have to come up with creative ways to find the time for running. Otherwise, we are hosed. That’s why today I’m sharing with you, maybe, one of the most creative ways of keeping a running lifestyle going strong: Running to and/or from work. In fact, and as a direct result of the hectic lives are leading in this day and age, the run commute movement has gathered some much steam in recent years. It’s really an effective “time-finding” strategy to keep your running program humming—especially for the crazy busy runners out there. 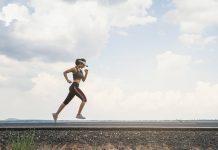 With our daily schedule getting more hectic, most runners have found that running to or from work is one the best ways to log in the miles, as well as being far more pleasant than getting crammed on public transport for the teeming commute. In fact, according to a recent survey by Simon Cook, in partnership with Run2Work and funded by the Economic Social Research, the number of people opting to run to or from work as an alternative mode of transport has tripled over two years. Running to and from work is a great way to start and end your day. Boosts productivity. By running to work, you will definitely increase your productivity for the day. You will arrive at the office feeling awake and. Not only that, but also burn some mad calories, and save a lot of money in the process. No traffic. You won’t be at the mercy of traffic jams and train delays, so you will be in charge of the time you get to work—assuming of course that you are fit enough to run that whole distance and know what you are doing here. New mind. 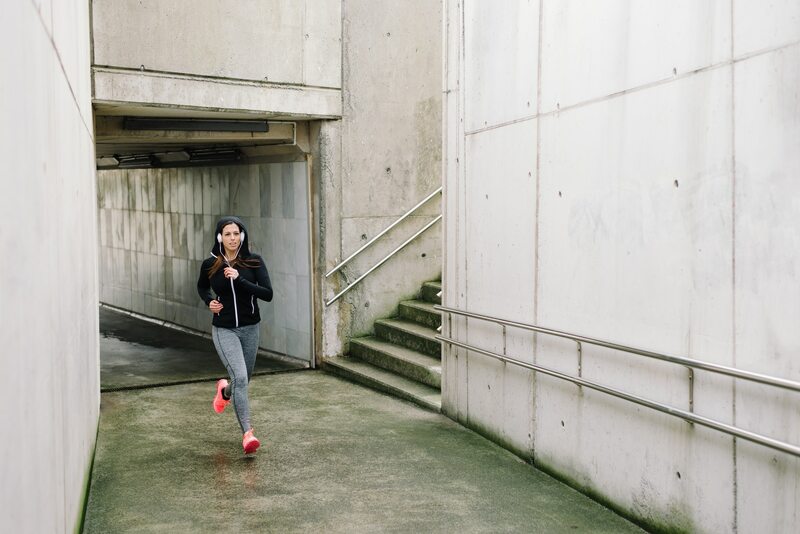 Running home from work can help clear up your mind and let go of the stresses of the day—especially if you have a tough job that takes a toll on your mental state. Reduces Stress. It’s the perfect opportunity to undo the tension and make sure you get home feeling charged, fresh and anew. Ecological. You will also be doing an excellent service to the environment by leaving a “smaller” footprint, as well as inspiring other people to follow (and run) in your footsteps. If you are serious about running to or from work the right way, then here are the guidelines you need to become a daily run commuter. 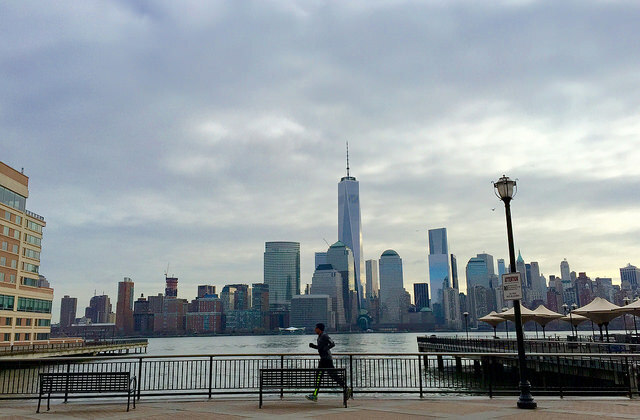 An efficient run-commute is not something that happens on its own. Au contraire my friend, it requires a bit of forward planning. 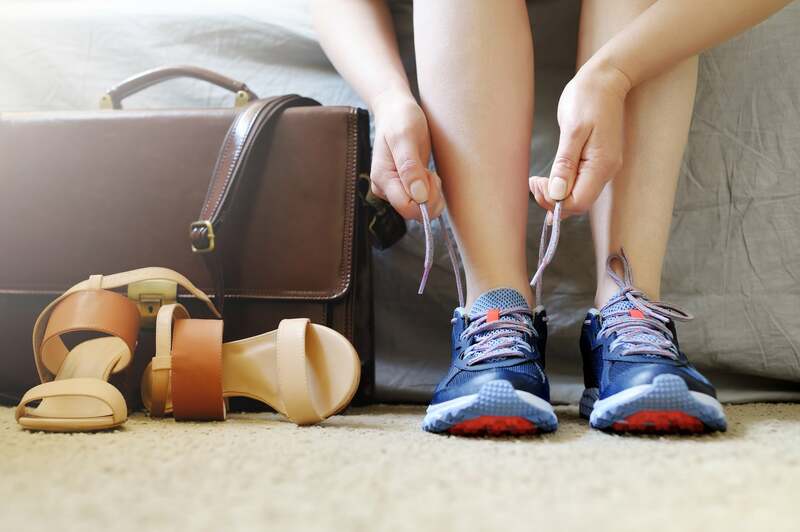 You have to plan ahead the logistics and the gear you will need for the job—and you are going to need more than your running shoes this time. Read on to learn how to take care of each step. Make a checklist of everything you are going to need—both for the run and for work. Here are some of the gear and items you should consider. Reflective tape or a reflective vest if you plan to run at near sunrise and/or sunset on roads. Make sure that you can be easily seen. Dress like a Christmas tree if you have to. Since you will definitely need to carry a few things with you more than you do on your usual outdoor runs, it’s really worth getting a beltpack, or a backpack to get your stuff in order. If you can narrow down your carry-on items to your phone, wallet, and keys, then a fanny pack will do the trick. Nevertheless, in case you need to carry more, whether it’s clothes, a laptop, toiletries or any other item, then you will need a real solid backpack for the job. Thanks to run commute’s rising popularity in the last years, the market for running packs has grown drastically, and you can find them online, and in most running shops. You just need to pick the right one. Get a backpack that’s expressly made for running. These are usually made with ultralight material and have straps that wrap around at your chest or waist level so it won’t bounce all over the place when you run. Therefore, make sure to invest in a good pack or two, and shop for what fits your body and is in line with your needs. Having at least a couple of backpacks of different sizes and types will make you feel satisfied that you have the right gear for the right job. Just be careful not to pack too much—it will wear you out, especially if you are a beginner, and you are not used to running with weights on your back. To avoid carrying extra items each day, bring several days worth of toiletries and clothing on a Monday, and store them away in your personal drawer, or lock room if you are lucky enough to have one at your workplace. If you usually take the bus/train to your work office, then chances that you don’t know exactly how far is the commute from your office to your home. However, to be more accurate, you gotta know your numbers, mate. This gonna save you so much trouble by ensuring that you head out the door at the right time so you can get to your work office, not one minute late. Few things are worse than arriving at the office drenched wet, exhausted, hungry and behind schedule because you got lost and had to run some extra miles. Therefore, map out your commute run route and bring your Smartphone with you to guide back on the right track in case you got lost or missed a turn. What’s more? Have a few running routes of different length, as you probably won’t want to stick to the same route, day in and day out; this is definitely a recipe for boredom. Let’s be practical here. If you live 30 miles away fro you office building, I’m really not encouraging you to run an ultramarathon every workday. That will be crazy and unrealistic. You don’t need to run the whole distance. Get off the train or bus a stop earlier and run the rest of the way. If you drive to work perhaps you can find a safe parking lot, then run the rest of the distance to the office. You can also look for a colleague who lives closer to the office and asks him or her to join you. The run-commune trend is growing rapidly, and chances that you will find with a similar goal. Anything that can derail you from your new plan during the early stages will definitely discourage you from you carrying on. That’s why before you do your first run-commute, test your new gear before you give it the green light. If you have never run to and from work before, I urge you to do a trial run before jumping into the experience. By doing this, you will ensure that everything is in place and that nothing will derail you from your destination. As a result, pack your backpack the way you are intending to do it when running to work, and go for an outdoor run. Then, once you know you have a solid strategy and backpack, try your first few runs on days when the weather is appropriate or when you won’t be out late the night before. Well, unless you are willing to spend the next eight hours avoiding any colleague who is going to have to endure your smell, then having a shower is a must. In my limited work experience, most office buildings have a shower (even facilities for fitness fanatics), but what if your workplace is a shower free zone? Well, that will be awkward. The easy solution is to take bus/train to the office then run home with your clothes in the backpack and have a shower in the comfort of your home. I actually highly suggest that you do this if you do any kind of stressful work or prefer running in the evening. It will definitely discharge you and help you relax afterward. However, if you still insist on running to work but your work building is a free shower zone, then check out if there are any cheap gyms or pools near your office that you can join and use their changing facilities. Take care of your hygiene and get everything you need for a thorough clean-up: shampoo, soap, deodorant, comb, foot powder, wipes, lotion, you name it. You can easily find all of this in the travel sample section of any department store. Get all that you need, then stash all of your toiletries in a little bag and store it in your drawer. Now you know all there is to know about running to and/or from work. I hope you start doing that soon. So please make sure to build this awesome running habit ASAP.